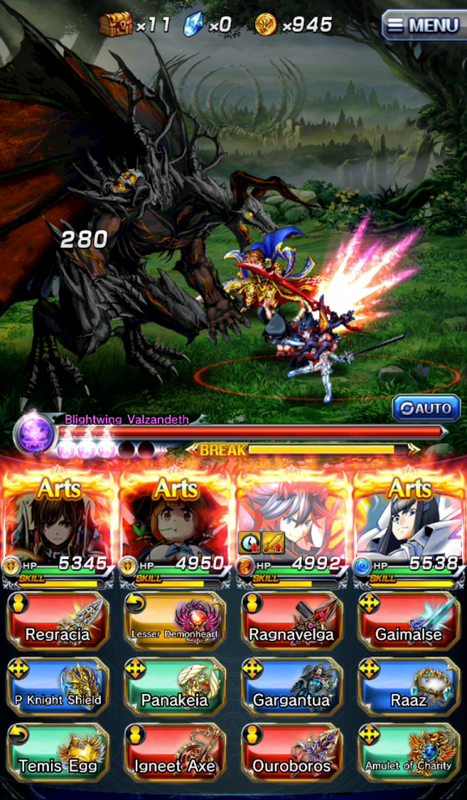 The Action Begins! 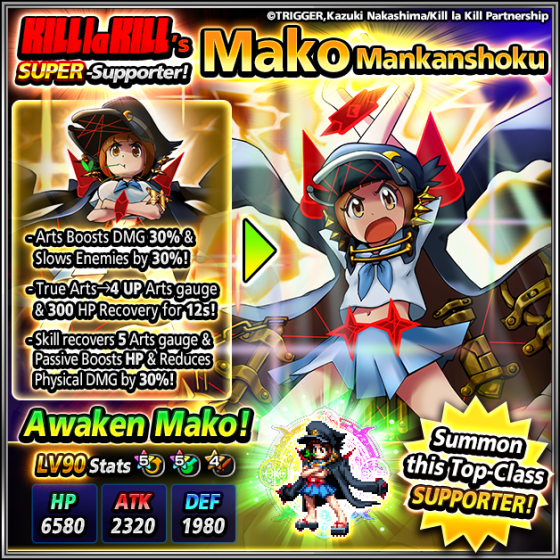 KILL la KILL Invades Grand Summoners?! 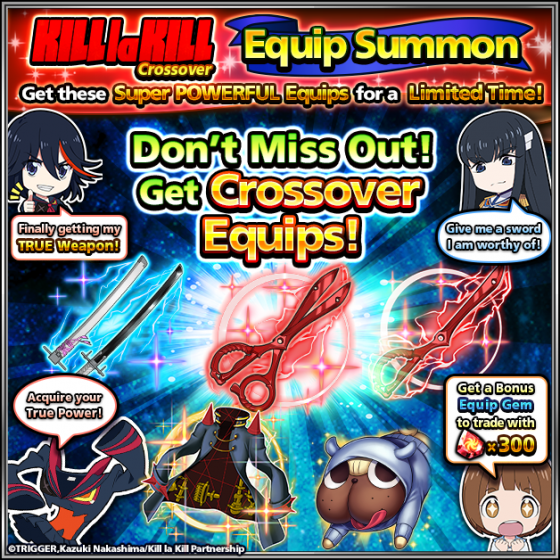 KLK Units & MORE in AMAZING Crossover! 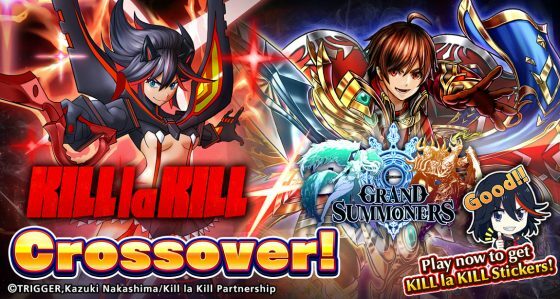 Just when you thought the Grand Summoners x Golden Kamuy Crossover was big, KILL la KILL makes its way into the spotlight with the Grand Summoners x KILL la KILL Crossover event! 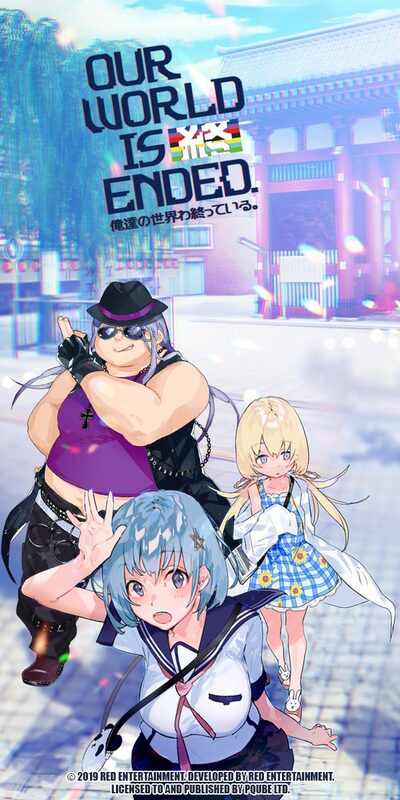 The heroines of the popular anime series will make their appearance TODAY in the Revival event, that will run through the Thanksgiving weekend. 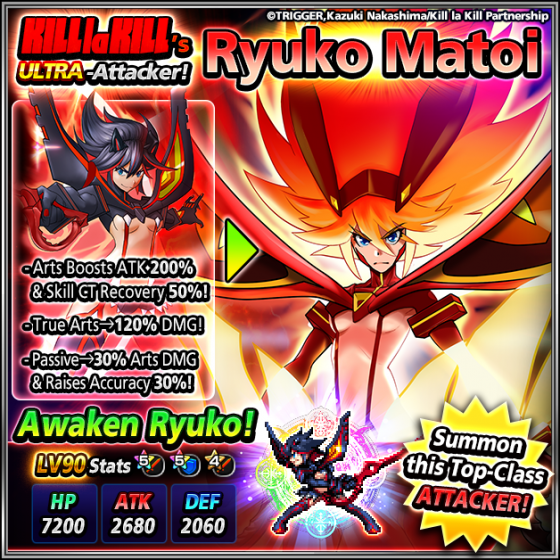 Iconic characters Ryuko, Satsuki, and Mako are now available in the Global version of Grand Summoners on iPhone, iPad, and Android devices for a limited time. 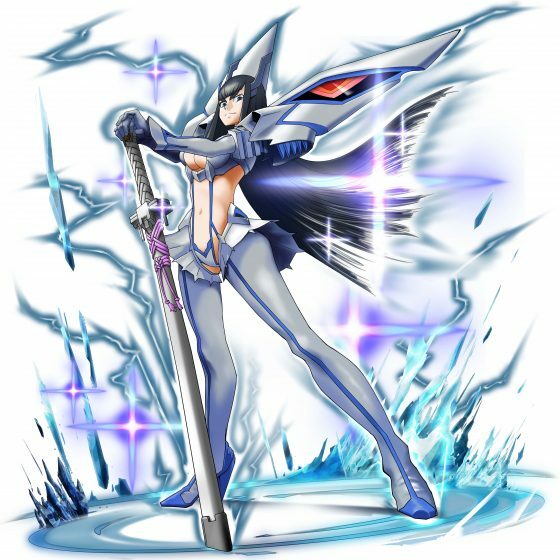 Until November 28, 2018, fans of the KILL la KILL anime will be able to use these characters, along with their explosive moves, in the fantasy world of “Rakthelm.” While collecting equipment inspired by the anime, players will be able to use the heroines in an original story featuring the best of both worlds of Grand Summoners and KILL la KILL. 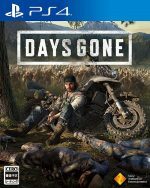 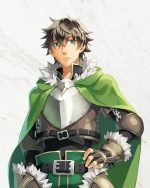 In this new crossover players will face dimension-travelling “Life Fibers” who are overtaking life in the lush forests of Rakthelm. 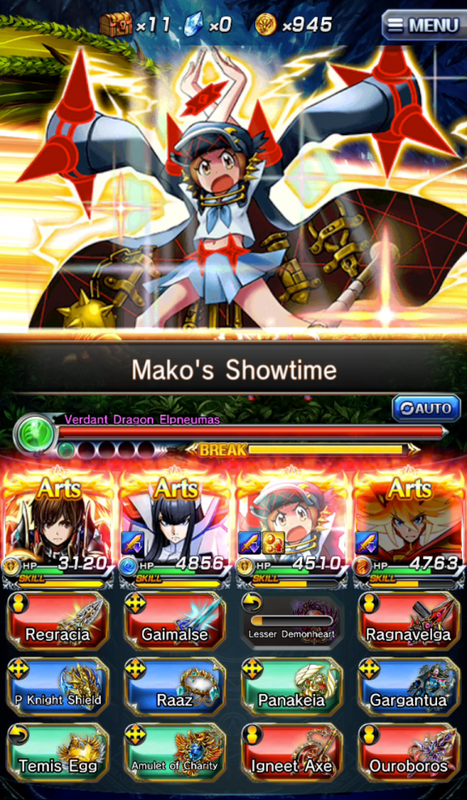 The three heroines from KILL la KILL suddenly appear in an apparent rupture in the time-space fabric, causing players to wonder if they are friend or foe to the heroes of the Grand Summoner. 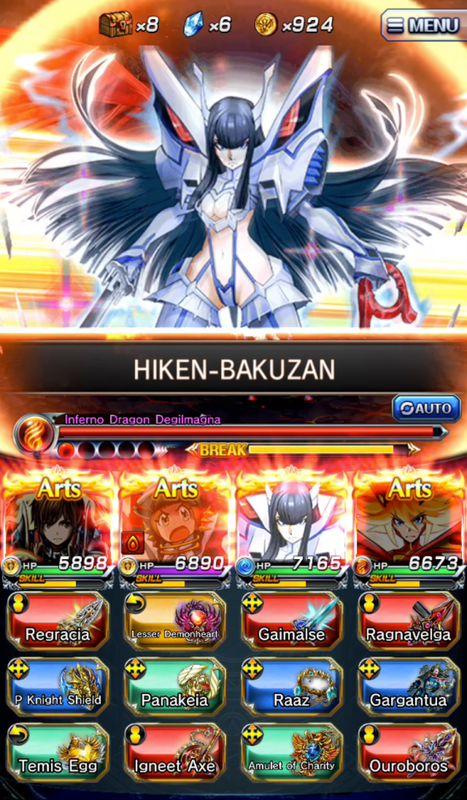 Packed with hours of time-limited exclusive gameplay, players can satisfy their KILL la KILL fandom while also discovering the rich gameplay and story of Grand Summoners. 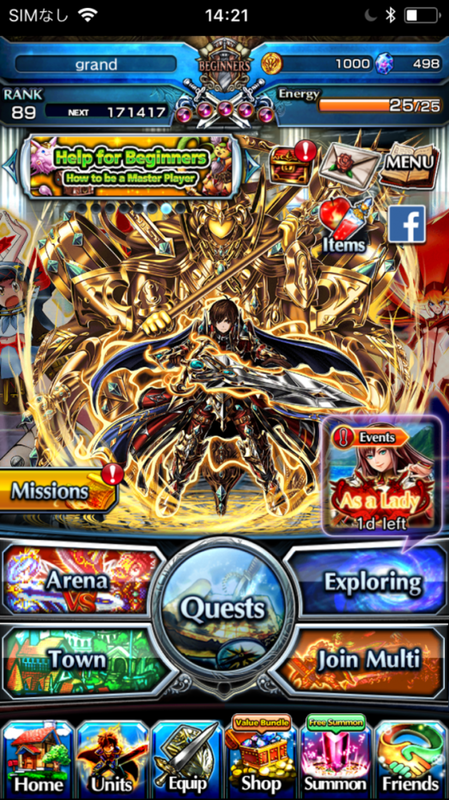 If you're interested in this awesome crossover but don't own the game yet, be sure to download it for iOS or Android. 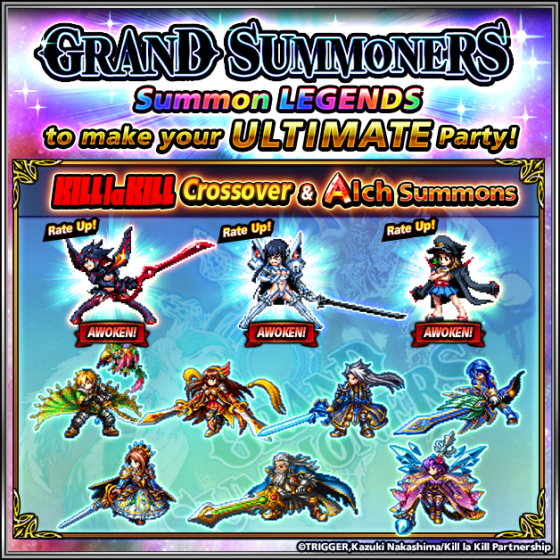 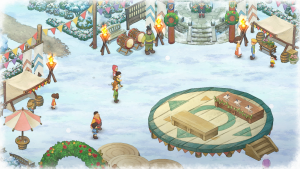 Check out the official Grand Summoners Global Facebook page for more details! 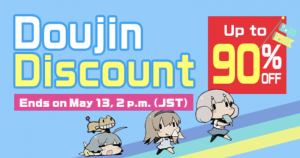 Share the promo video above with friends to earn in-game items!!! 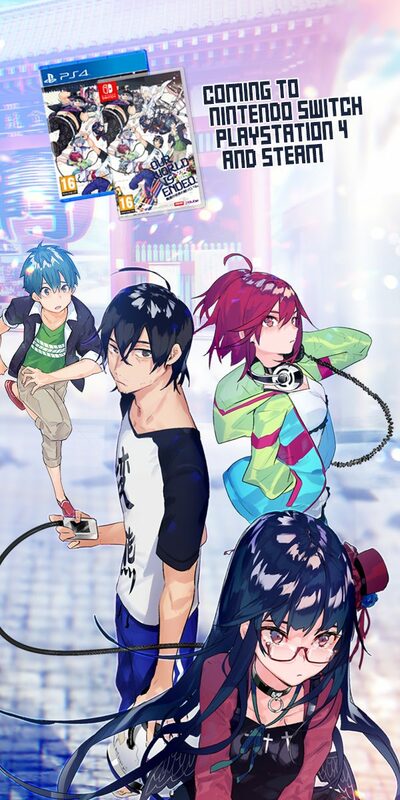 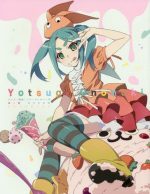 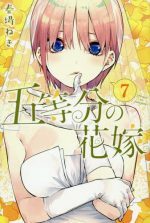 Original story and Fierce battles featuring the best of Grand Summoners and KILL la KILL. 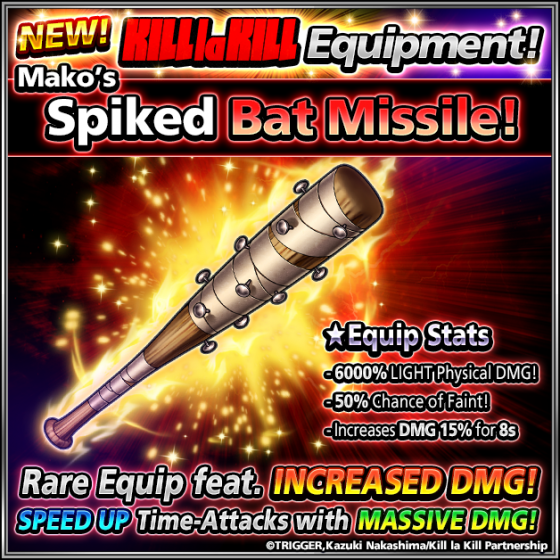 Three new powerful pieces of equipment and a battle food-item inspired by KILL la KILL. 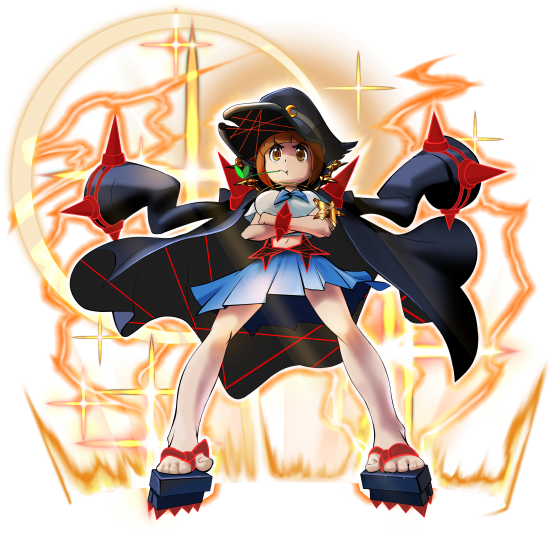 Collect “One-Star” items to get anime-inspired equipment such as “Senketsu” and more. 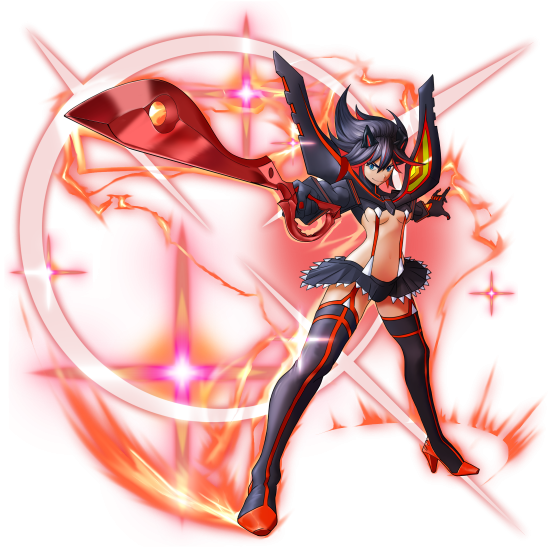 Receive free KILL la KILL in-game message stickers to use when battling friends. 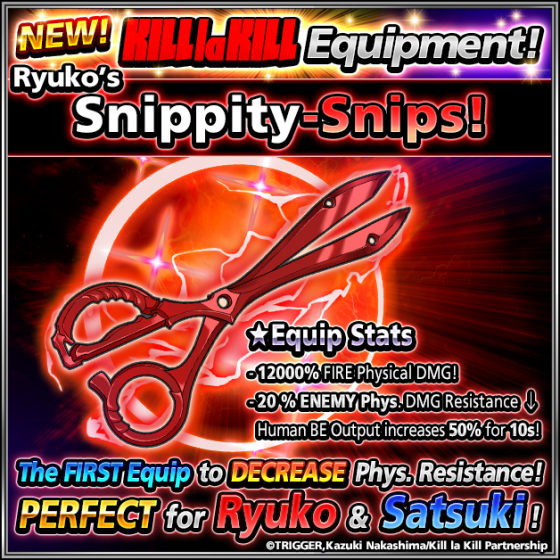 Limited KILL la KILL Battle Units raise event-item drop rates by 50% to increase the chance of collecting exclusive KILL la KILL items. 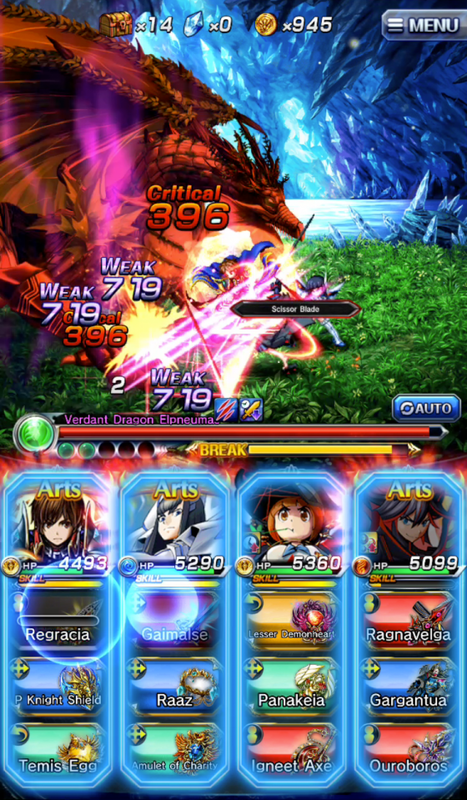 Grand Summoners joins with the KILL la KILL heroines for an epic adventure! 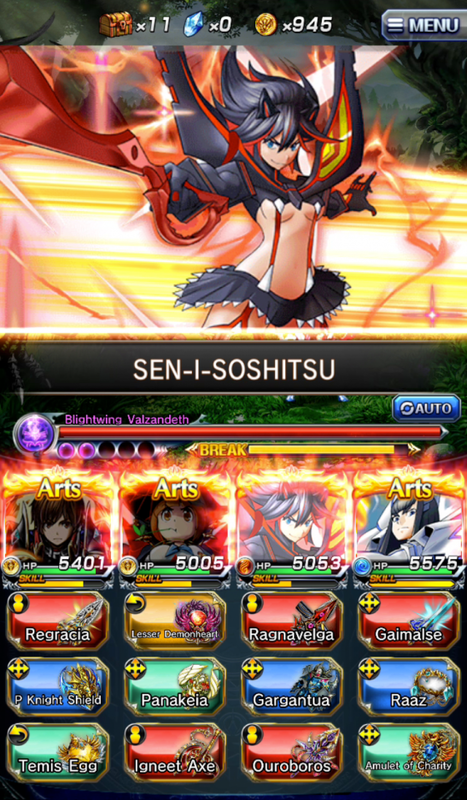 Yamagishi Masayuki, Producer, NextNinja, Co. Ltd.
OMG Satsuki looks so cool in this game! 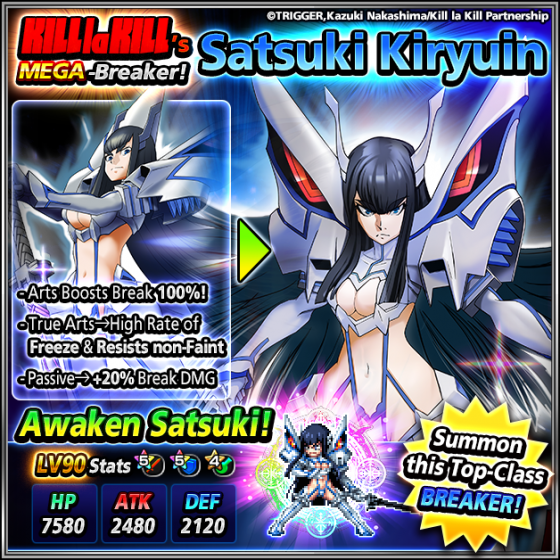 I'm definitely going to try and summon her! 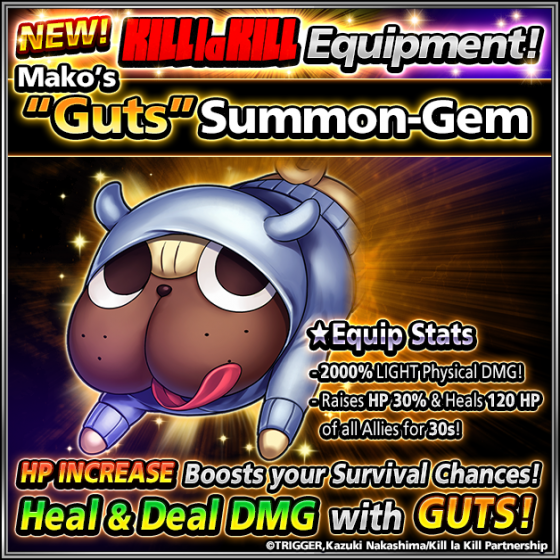 Mako looking adorable as always! 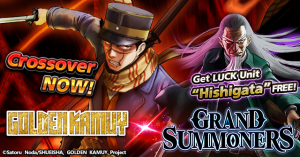 Golden Kamuy Comes to Grand Summoners for a Limited Time! 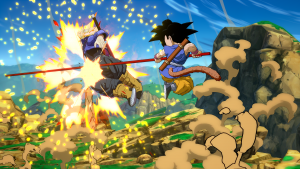 EPIC Crossover!